You are browsing the archive for Storm Summaries. We’ve had a lot of noteworthy tornadoes last week in the U.S.
On Wednesday, September 15th, severe storms sprang up violently over portions of southcentral and southeastern Kansas. 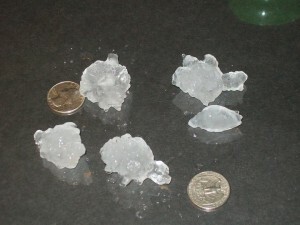 Discrete supercell storms produced both tornadoes and extremely large hail. 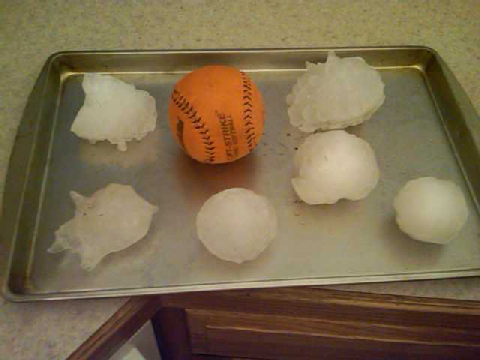 In fact, a new state record for large hail may be threatened in Kanasa as a result of these storms. The Wichita NWS has an excellent summary of the severe weather outbreak. Later that same evening, the individual cells merged into a severe squall line with bowing line segments as it finished moving through eastern Kansas and then headed into the Ozarks. Shortlly before 11 pm, a weak EF0 tornado was on the ground for only one half mile about 4-5 southwest of Nixa. 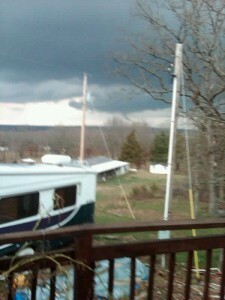 The Springfield NWS has a review of the tornado as well as downbursts and heavy rain in southwest Missouri on this day. 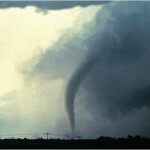 On Thursday, September 16th, a cool front was responsible for two additional tornadic areas. 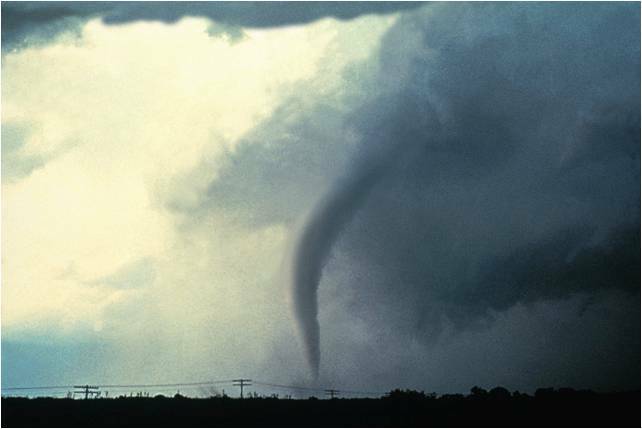 In New York City, the National Weather Service confrms two tornadoes within the city limits. An EF0 tornado touched down in Brooklyn while an EF1 rating was attatched to a Flushing/Bayside twister in Queens. The storm killed one person. A link to the news story and to the NWS report. Also on Thursday, severe thunderstorms formed in southeastern Ohio and traveled southeast into West Virginia, producing tornadoes including two EF3’s and several EF2’s. The Springfield National Weather Service performed damage surveys today and determined an EF0 tornado touched down southwest of Nixa Wednesday evening. Here is the storm report. Additionally, a mircroburst produced wind damage west of Turners. 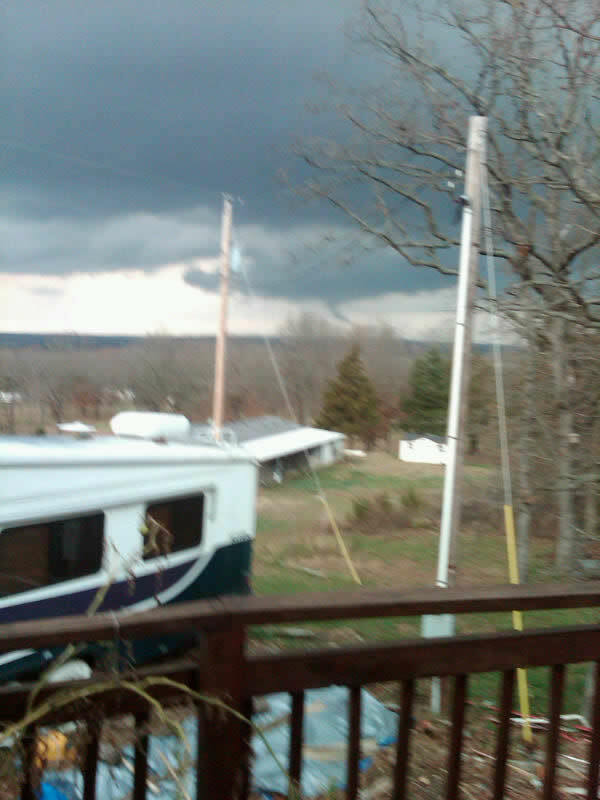 Several other microbursts were reported in Rogersville and near Fordland. I have radar data processing and will update this story tomorrow. Event summary page from the Springfield National Weather Service. Some of the hail video I’ve saved under Favorites in my YouTube account. 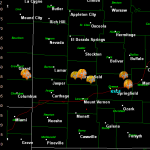 A cluster of thunderstorms which started in Kansas Saturday evening, crossed into Missouri and left a swath of wind damage! The bowing refers to the shape of the mini line of storms as it advances. This is shown clearly in the embedded loop of radar from early Sunday morning (below). This line produced scattered wind damage reports from southern Crawford County in Kansas into Dade and eventually Greene County. There were lots of reports of small limbs down and outdoor objects such as potted plants “displaced”. The Springfield National Weather Service reported a wind gust to 51 ph at 2:10 am. There were likely some severe wind gusts (59 mph or higher ) with this storm line. Several minor power outages were reported with this storm line as well. .DATE… ….MAG…. ..COUNTY LOCATION..ST.. …SOURCE…. 08/15/2010 CRAWFORD KS LAW ENFORCEMENT FOUR TREES REPORTED DOWN ON THE SOUTH SIDE OF PITTSBURG. 50 TO 60 MPH WIND GUSTS ESTIMATED BY SPOTTER IN EVERTON. FOUR INCH DIAMETER DOGWOOD TREE BLOWN DOWN. ROAD 84 BLOCKED IN THIS AREA. 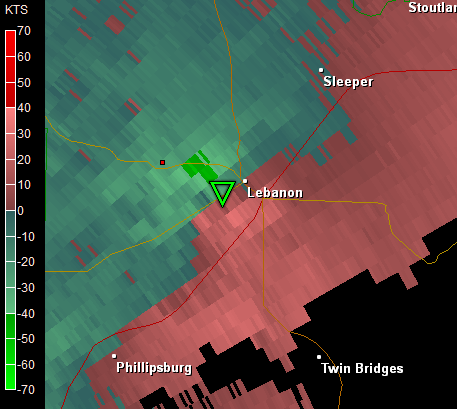 38 MPH WIND GUST MEASURED WITH OUTFLOW BOUNDARY PASSAGE. FLAG POLE AT AVA POLICE DEPARTMENT BLOWN DOWN.